There's no question that plain mushrooms ought to be gluten-free—after all, they're a fresh vegetable, right? But lots of people report getting glutened after eating fresh mushrooms ... enough people that it's worth looking into how mushrooms are grown. In fact, once you learn how they're grown, you'll understand why many people react, especially those who are particularly sensitive to trace gluten. You see, some mushroom spores are grown either directly on gluten grains, or on a medium that's derived at least in part from gluten grains. Rye is used most commonly for this purpose, but growers also use wheat and occasionally on a combination of the two grains (barley, the third gluten grain, doesn't seem to be in common use for growing mushrooms). And this cultivation method leads to gluten cross-contamination on the finished fungi. How much gluten? It's really tricky to say how much gluten remains, although the gluten level on fresh mushrooms likely comes in far lower than the less than 20 parts per million standard that are considered "gluten-free" in the United States and some other countries. However, the remaining gluten is enough to cause reactions in those of us with celiac disease and non-celiac gluten sensitivity who are quite sensitive to trace gluten. Remember, sensitivity levels can vary tremendously—some people with celiac or gluten sensitivity react to a microscopic amount of gluten, while others can eat all the gluten-y pizza they want without getting any obvious symptoms. Will Washing Get Rid of the Gluten? Okay, so mushrooms are grown on gluten grains, which does sound a little scary. But you'd think washing your mushrooms really well would get rid of any stray gluten-containing growing medium. Unfortunately, it doesn't seem to do the job. Washing appears to work for the less sensitive (who might not react to unwashed mushrooms, either). But for those who are quite sensitive to lower levels of gluten, washing really doesn't seem to help enough to prevent a reaction. The problem may be that gluten is a sticky protein that doesn't dissolve well in water. So if you're trying to track down that latest mystery glutening, you might consider whether it was the mushrooms you had in your gluten-free salad or threw into your stir-fry, even if you washed those mushrooms well before using them. Is This Really a Problem for You? Is this something you need to worry about? Very likely not, unless you know you react to mushrooms yourself or if you want to eliminate every possible gluten exposure, regardless of whether you seem to react. Many people with celiac disease or non-celiac gluten sensitivity consume mushrooms just fine. 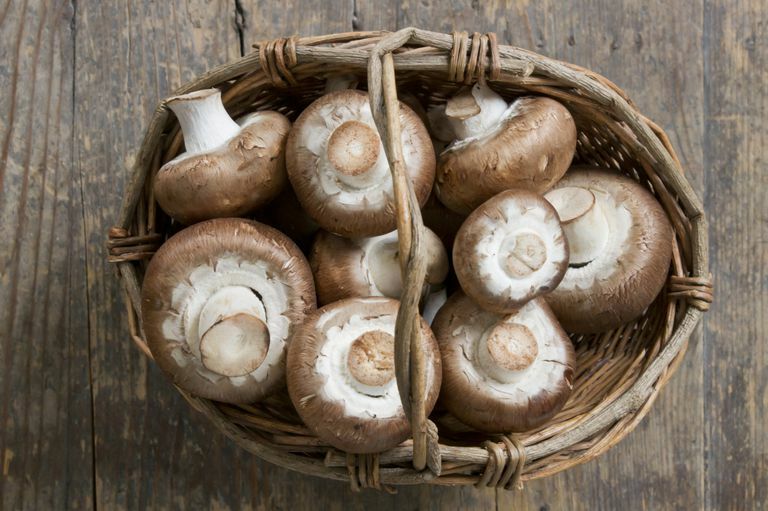 But if you repeatedly find yourself glutened following a meal that features mushrooms, then you may want to look around for a source of wild mushrooms. Some people who react to mushrooms that are grown conventionally find they don't react to wild mushrooms. If you ask around at your local farm markets, you may have success in finding someone who grows mushrooms on sorghum or millet, two gluten-free grains that occasionally are used to cultivate mushrooms.